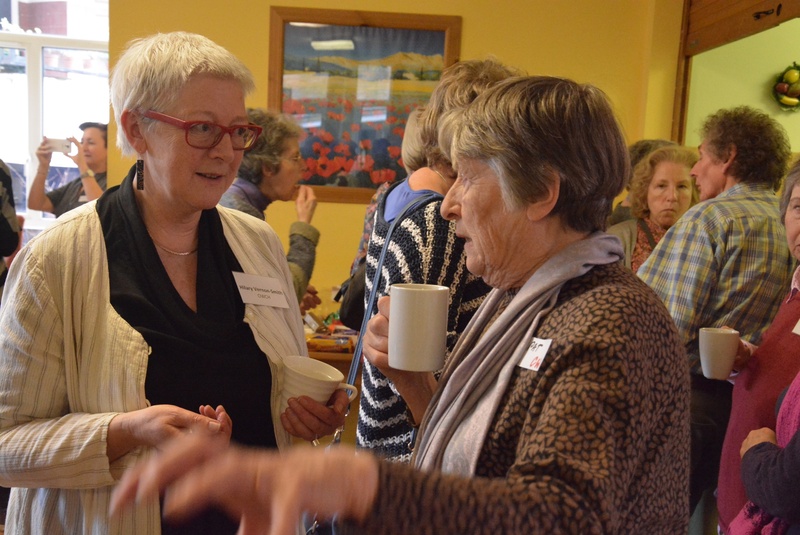 On Saturday March 14 Cohousing Woodside organised a networking and social event for all cohousing groups in London. It was a buzzy forum for exchange of information and ideas. From North London, representatives of the Older Women’s Cohousing group (OWCH), Hackney Cohousing Project, LoCo (London Countryside Cohousing Group) and Cohousing Woodside attended, along with the only one based in South London, Featherstone Cohousing. A total of around 40 people, including three university researchers, each pursuing different aspects of the cohousing process. All the groups are still in the formation stage but at different points of the journey – OWCH is the furthest on, with construction having started; Cohousing Woodside and Featherstone have secured planning permission, and the others are still in the planning phases. This was the first time all the groups had come together like this and there was a lively interest in exploring key facts on each others’ progress so far. Each group gave a short account of development milestones reached and successes and challenges encountered. All had a tale to tell about how demanding of time and energy it is to set up a cohousing community with Loco and OWCH having managed best to share out the load. As both have been working away for 12 and 16 years respectively, this is not surprising – it takes time for new members of a group to step up. Discussion ranged over related areas such as building community and trust and taking decisions consensually in large groups. Great ideas like ‘role playing’ exercises and ‘ever after’ task groups were shared. All are struggling with issues like affordability, market pressures or tenure mix. Hackney has a very interesting Council-enabled shared ownership model. Loco is a now successfully self-developing and self-financing, having quit its brief partnership with Hanover; the small Hackney group is working with Peabody, and OWCH, Featherstone and Cohousing Woodside are all working with Hanover. Cohousing Woodside is the only group sharing a site with a larger Hanover development and therefore struggling for recognition of the nature of cohousing, while the others have dedicated sites. The difficulties of reconciling the cohousing ethos with an organisational culture unused to equal relationships with end-users came out strongly in discussion. It is clear that those assembled enjoyed the exchange and appreciated the opportunity to network with other cohousers. Another such get together before too long would be very useful and might form a basis for a ‘London Cohousing Network’.